Mauritius is a country of beaches with a population that is as diverse as the country itself. The people celebrate a blend of traditions and beliefs along with various cultures and religions. Festivals and events are celebrated throughout the year in a peaceful and harmonious manner throughout the year. Chinese Spring Festival: Usually celebrated by the Mauritian Chinese, the exact date of this festival changes every year according to the Chinese New Year. The celebrations are kick started with colorful and noisy firecrackers that mark the warding off of the evil spirits. Friends and families get together to celebrate this festival with pomp and joy along with an abundance of gastronomical extravagances. Towards the end of the festival, there is a special lion dance performance along with a gala parade that includes dancing dragons, lions and colorful firecrackers. One thing that you shall notice right on arrival during this festival is the dominance of the color red that symbolizes happiness during the festival. 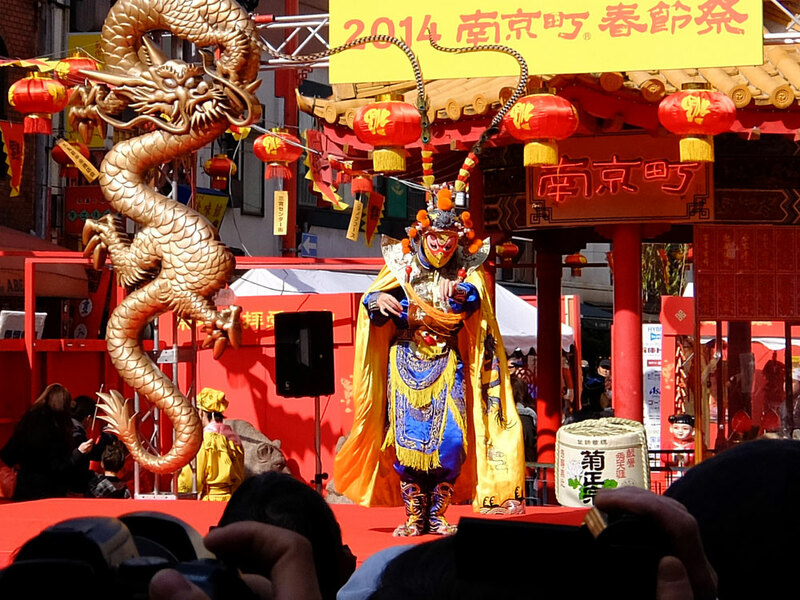 To witness the main Chinese spring festival celebrations, do visit Port Louis in China Town that is full of Chinese dragons during this whole period of festivities. Cavadee: Celebrated mainly by Indians of Tamil origin, Cavadee is one of the main festivals of the island in the months of January and February as per the Tamil Calendar. Said to be one of the most impressive festivals of Mauritius, the devotees on this festival after a period of fasting, get their cheeks, tongues and chests pierced with needles. They then go to the temple with these offerings on their backs to offer worship to Lord Muruga. Considered to be walking barefoot to the temple in a trance, these devotees carry on their backs cavadees that symbolize the sacred mountains. Decorated with green leaves, coconut shoots, banana tree barks and flowers of all kinds along with a pot of milk, these are made of either an arc of wood, metal or plastic. Carried across the backs of devotees like a yoke, these cavadees are then laid down at the feet of the divine statue. In addition these rituals, there are also some spectacular fire walking and sword climbing rituals that need to witnessed to be believed. Thaipoosam Cavadee: Said to be the Tamil day of the remorseful, the day is celebrated in the honor of Lord Muruga, son of Lord Shiva. Not just the most important but also one of its most spectacular ones, this festival involves devotees embarking on a pilgrimage to the local temples carrying their cavadees. The day is full of ritual mortifications, washings and fastings. During this period, the streets of the country come alive with devotees carrying their decorated cavadees and pots of milk. Many even skewer their tongues and cheeks as a part of homage to Lord. Maha Shivratree: Also known as the ‘Great night of Shiva’, Maha Shivratree is celebrated by the devotees taking a pilgrimage to the Grand Bassin, a natural lake located on the central plateau. Celebrated in the honor of Lord Shiva, this three day festival is celebrated with thousands of devotees taking a dip into the lake that is said to sanctify all their sins. According to a local legend, the waters of this lake communicate with the waters of Holy River Ganga in India. Food sacrifices are made and water is fetched from the lake to taken into the homes. With participants dressed in white and carrying bamboo contraptions on their shoulders, the whole scene is reminiscent of the great rituals undertaken on the banks of the Holy Ganges in India. Diwali: Known as the ‘festival of lights’, Diwali is celebrated in the whole of Mauritius with a lot of excitement in the months of October or November according to the Hindu calendar. Marking the return of Lord Rama to Ayodhaya with his wife and brother after 14 years and win over Ravana, the festival is celebrated with lighting of oil lamps symbolizing victory of good over evil and freedom over darkness. Cakes are prepared along with several other tasty festival specific tasty foods that are shared with friends and family on the day. Holi: Popularly known as the ‘festival of colors’, Holi is celebrated by all Indians living in Mauritius. This raucous two day festival is celebrated during the months of February or March depending upon the Hindu calendar. During the first day, a fire is lit to commemorate the sacrifices made by Holika on this day. It is on the second day of the festival that the frenzied yet good natured celebration of colors and waters is celebrated. People sing, dance and play with other with colored powder and water happily and gaily. Though celebrated mainly by Indian Hindus, the celebration brings alive the country for the celebrations. Father Laval Day: Every year on the day of September 9th, also known to be the birthday of Blessed father Jacques Desire Laval, Mauritian people from all the ethnic groups come together and visit the tomb of Father Laval in Sainte Croix, Port Louis. It is said that this priest in 18th century became a protector of the slave community and came to be revered as a symbol of compassion and love. He was a French missionary as well as a doctor who was believed to have amazing healing powers. Interestingly, it is also said that he was the first person who beatified in the pontification of John Paul II after the latter became the pope. Eid Ul Fitr: One of the major festivals in the Islamic calendar, this festival is celebrated with much fervor by all the Mauritian Muslims. Coming right at the end of the Ramadan, the month of religious fasting, this day is celebrated by the devotees with prayers at mosques where cakes and food is shared. Gifts are exchanged with friends and family along with donations for the poor. People visit their friends and family to wish them good luck for the coming year ahead. Mauritius National Holiday: Celebrated on March 12th, this day commemorates the foundation of the state of Mauritius on March 12th, 1968. The day is celebrated with much patriotism and great national pride all the way across the country. Ganesh Chaturthi: Celebrated by Hindus all over the Mauritius on the fourth day of the lunar month that falls in August or September, Ganesh Chaturthi is symbolizes the birth of Hindu god Ganesha. This Hindu god with his elephant head could be found all across the country being taken to beaches or riverbanks for immersing before sunset.